ZEELAND — Amy and Mike Langeland’s home on East Central Avenue turns 100 years old this year, but they’re only the third family to have owned it. Over the past decade, the Langelands have renovated their home, most notably removing the carpeting from the main floor and some of the bedrooms to reveal an oak floor that was original when pharmacist John Haan built it in 1891. 1. Dekker-Huis Museum 37 E. Main St.
2. Langeland Home 510 E. Central Ave.
3. Masters Home 506 E. Central Ave.
4. Parkview Home 214 E. Central Ave.
5. Wilson Home 137 S. Church St.
6. Vander Maas Home 28 E. Central Ave.
7. Inman Home 45 W. Central Ave.
8. Van Eck Home 51 W. Central Ave.
9. 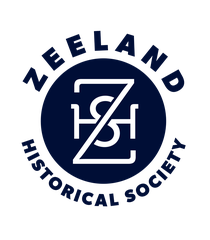 Hoesch Home 50 W. Central Ave.
Langelands’ home and six others on Central Avenue will be part of the Zeeland Historical Society’s Historic Home Tour, which takes place from 10 a.m.-3 p.m. Saturday. Amy Langeland says the quality of construction of the largely Craftsman and shingle-type homes that line the street has made them popular among those who settle in the city. “The attention to detail (of the original construction) was something quite special),” said Langeland, who is past president of the historical society. Haan, who founded the downtown pharmacy that is now known as Bunte’s Pharmacy, was the first owner of the Langeland home at 510 E. Central Ave. Longtime Zeeland city attorney and community benefactor Randy Dekker and his wife, Catherine, owned it for many years before the Langelands purchased the home 10 years ago. Seven residences are part of the home tour, along with the historical society’s Dekker Huis Museum and Parkview Home, an adult foster care home. Proceeds from the tour will go toward the historical society’s efforts to renovate the historic New Groningen School, a two-room schoolhouse just west of the city limits that educated students from 1881 to 1951. The society has raised about $400,000 in the past five years to purchase and renovate the schoolhouse. Another $60,000 is needed to complete the project, which could occur this fall, Langeland said. “We have a small group, but we’ve had a lot of community support (for this project),” Langeland said. Tickets are $15 in advance and $20 the day of the tour. They are available at the Zeeland Chamber of Commerce, Bunte’s Pharmacy and Zeeland Hardware.